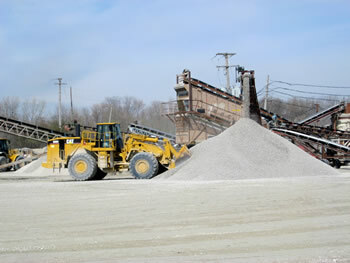 Welcome to Boughton Materials, Inc.
For over 40 years, Boughton Materials, Inc. has been a family owned and operated aggregate producer and supplier of limestone, sand, and gravel products for Chicago and the suburbs. We have always considered outstanding customer service to be our hallmark and have long standing relationships with our customers. Our employees have many years of experience and service and are knowledgeable and able to help you with project planning, quotes, material selection, and arranging delivery. We offer favorable and competitive pricing and our fleet of delivery trucks are able to service your needs in an efficient and timely manner and our dispatchers are able to accommodate your changing schedule requirements. Please call us to see how we may help you. 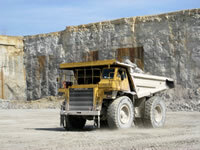 We have 2 quarries located in the Naperville and Plainfield area. 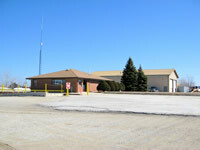 We serve both commercial and residential customers and our materials are available for same day delivery. We are now accepting clean broken concrete at Pit #2. Copyright © 2019 Boughton Materials, Inc.. All rights reserved.